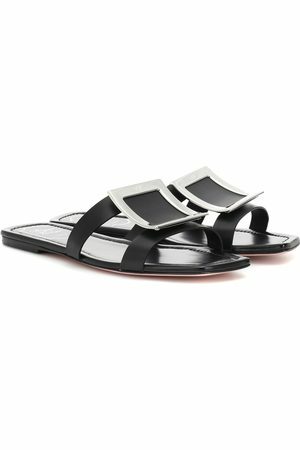 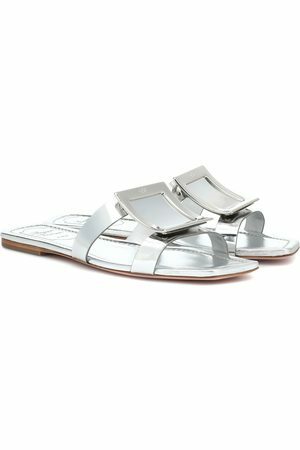 These reflective sandals are a modern reinvention of the Roger Vivier fashion house's refined sense of style. 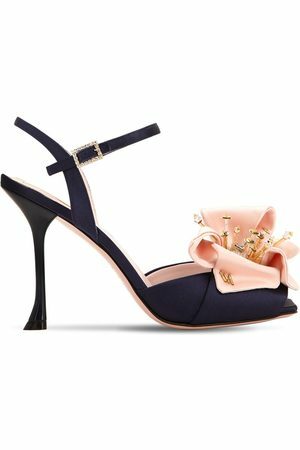 The curved square heel and square metal buckle decorated with rhinestones are nods to the heritage of this shoe designer who revolutionized the industry. 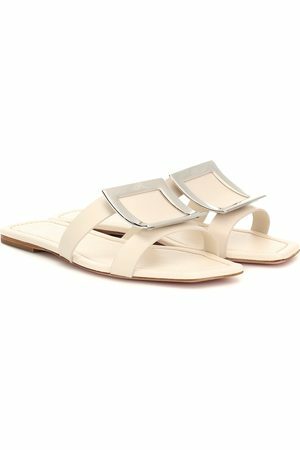 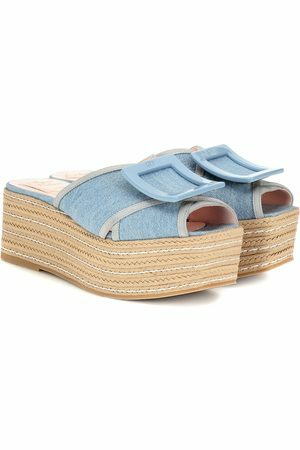 Wear these sandals for formal occasions with a cocktail dress and a matching clutch.